The “New and Improved” angle adjustment feature and tee placements are designed to work with all the major hitting philosophies being taught today. 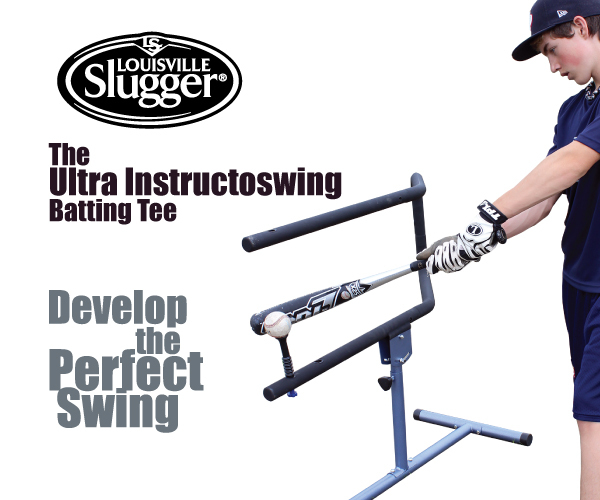 The Instructoswing can be used by either right or left handed batters. The angle and height adjustment features were created so the player can practice the proper swing path by choosing a downward, level, or upward path to the ball from basicly any pitch height. The patented rubber-coated good habit bars help prevent casting, chopping, or uppercutting by supplying instant feedback to the batter on bad swings.